This is a mini sized device that is very light in weight and truly top pocket portable. It has a built in large 8GB of memory, HQ recording setting, voice activated recording, blue back-lit LCD screen, Built-in microphone & Speaker, high speed USB 2.0 connection & built in rechargeable battery. An audio recorder has become a vital part of every paranormal investigators tool box. 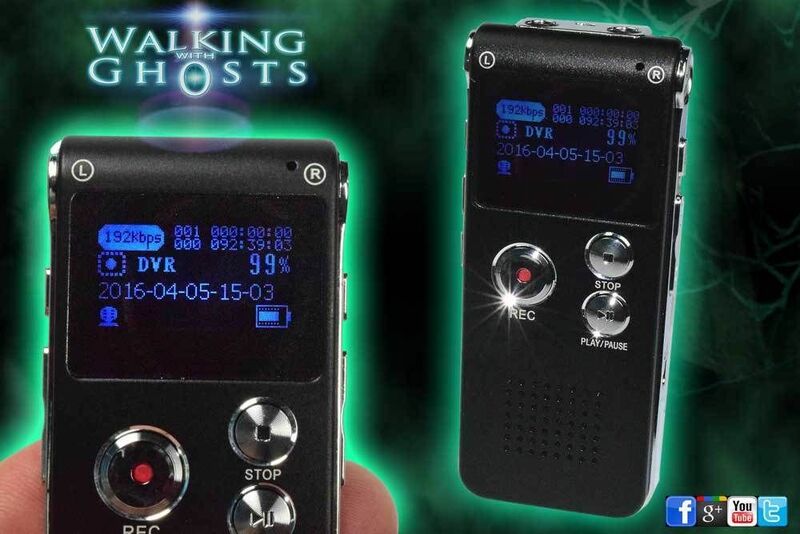 They are used to try and capture EVP (electronic voice phenomena) which is essentially a case where human-sounding voices are heard on a recording or in radio station noise and other electronic media.It is thought that these sounds or voices usually occur at a frequency out with the range of the human ear but can be captured on electronic devices. 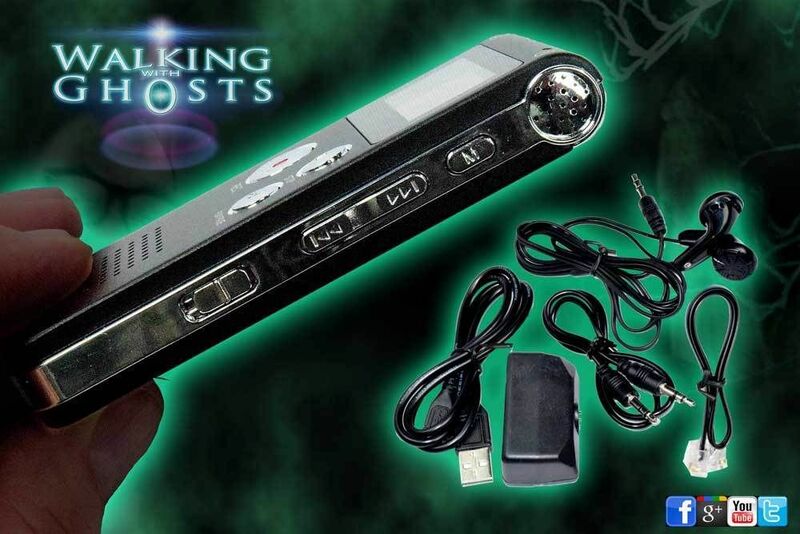 Some even believe that spirits can interact directly with the electrical fields imprinting messages directly to the device without making any outward earthly sound at all. Most people use the device in a question and answer technique scanning the blank space between questions for answers from beyond the grave after the session. That are also very useful for taking notes as an investigation proceeds, and identifying markers for events and environmental changes thought. A useful record of events to call upon after the event. The device can also be used as an MP3 player and store music or sound effects to further enhance your experience. Ideal for experiments using the Singapore Theory, where recreating sounds or events from a bygone time are used to stimulate spirit activities.